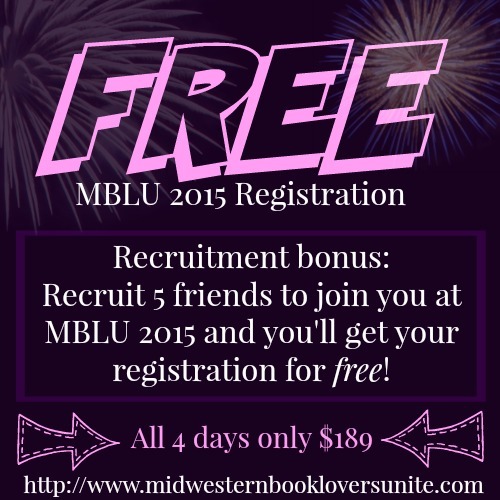 Who wants to come to Midwestern Book Lovers Unite Conference for FREE??? Recruit 5 readers/bloggers and I’ll refund your registration or you can register for free if you haven’t yet! http://www.midwesternbookloversunite.com/registration and answer the question on the registration form “How did you find hear about the conference?” with your name. If I get 5 with your name, I’ll refund your registration (minus fees).